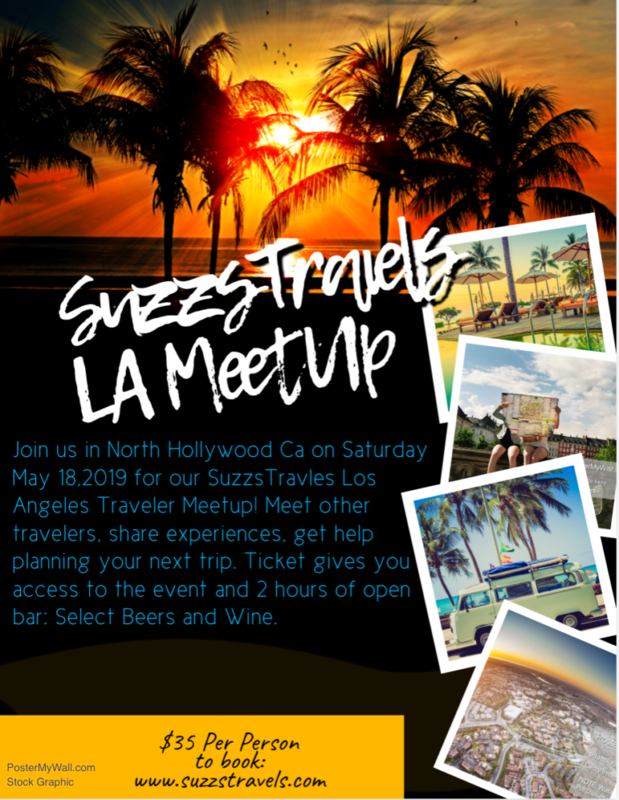 We are having our second #SuzzsTravelsMeetUp this time we are switching coasts and bringing it to Los Angeles! The Meet-Up will take place on Saturday May 18,2019. The Suzzstravels meet up is an opportunity for you to meet with other travelers, to share traveling stories, get tips and suggestions to get help building an itinerary for your upcoming vacation. It is a great opportunity for us to get together and grab a social drink. This will also be a great opportunity for you to meet other people with the same interests as you and possibly meet your next travel-buddy here. Below are the full details. Tickets are limited and non-refundable. With the purchase of your ticket you get: access to the meet-up, Unlimited Wine and Beers from a select menu for 2 hours. There will also be goodie bags, ice breakers and raffles! Ps. The price of the ticket also covers tax and gratuity to the bar that’s hosting the event. If you are coming for additional days, be sure to checkout or LA guide to help you plan your stay in this awesome city. We are also working on organizing a morning hike the day of the event, for those who are interested. More information will be sent to attendees later. 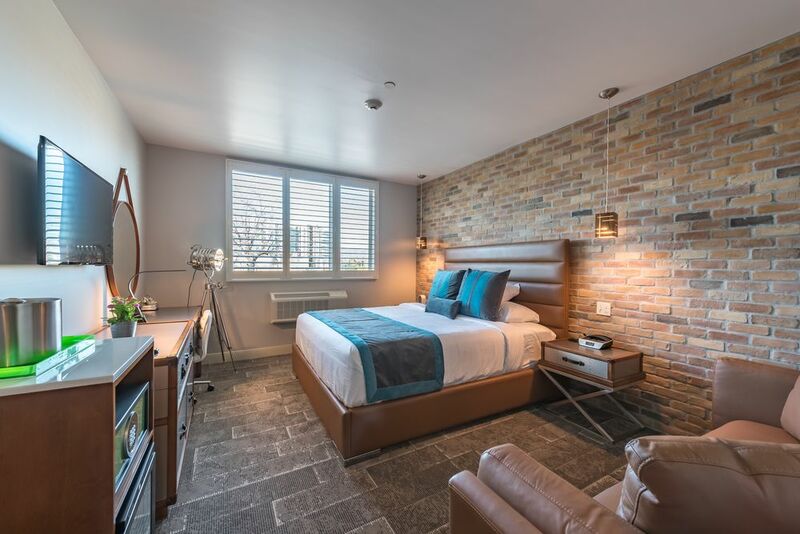 We have secured a 10% manager’s discount off their rates at the Lexen Hotel in North Hollywood, located in the NoHo Arts district. Right now you can find really good rates directly on their website. The hotel is super cute and located near bars and restaurants. You can walk down to the event or take a $5 Lyft/Uber ride. If you want to visit Hollywood, it is near the Red Line Metro station or just 10 minute car ride away. Example 3 night stay with the discount by booking in advance less than $400 for 2 people. We will send you instructions to redeem the discount with your ticket. *You can fly into LAX and take a Lyft or Uber to North Hollywood ($34+) or you can take the Flyaway to the Van Nuys station ($14) and then take a Lyft to North Hollywood ($12+). *You can also fly into BUR which is a smaller airport just 10-15 minutes away from North Hollywood (about a $10-$15 Lyft/Uber). We are looking forward to meeting all of you!
. Please include your full name, how many tickets you wish to purchase. If there is more than one person, please provide the required information for each one.